My sister turned 25 this year and what better way to celebrate than a dinner party. Ever since I saw the amazing Party like a Pineapple event put on by Jenny Cookies, I started to love pineapples. They are surprisingly cute, and when you add a bow how can you not just love them? Also they happen to be one of my sister's favorite fruits, so it was a win win. I now present to you a Pineapple-n-Bows party! 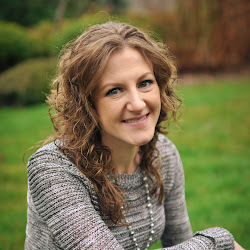 I have always believed that the invitation will set your theme to any event, big or small. This invite was no different. 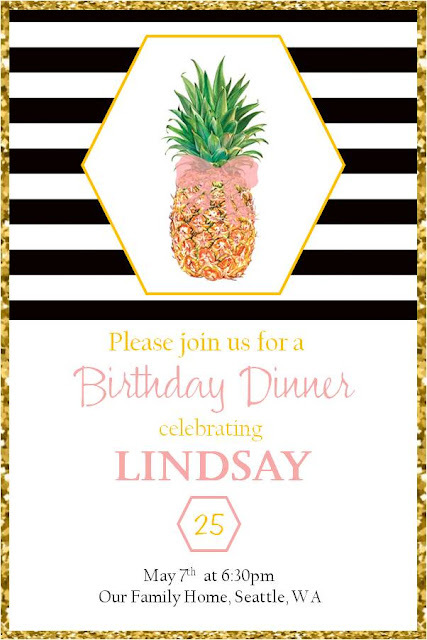 I created a simple invitation with a black & white background, added a touch of gold to go with our pineapple theme and of course a hint of pink to really make that great first impression. This pineapple is ready to party! 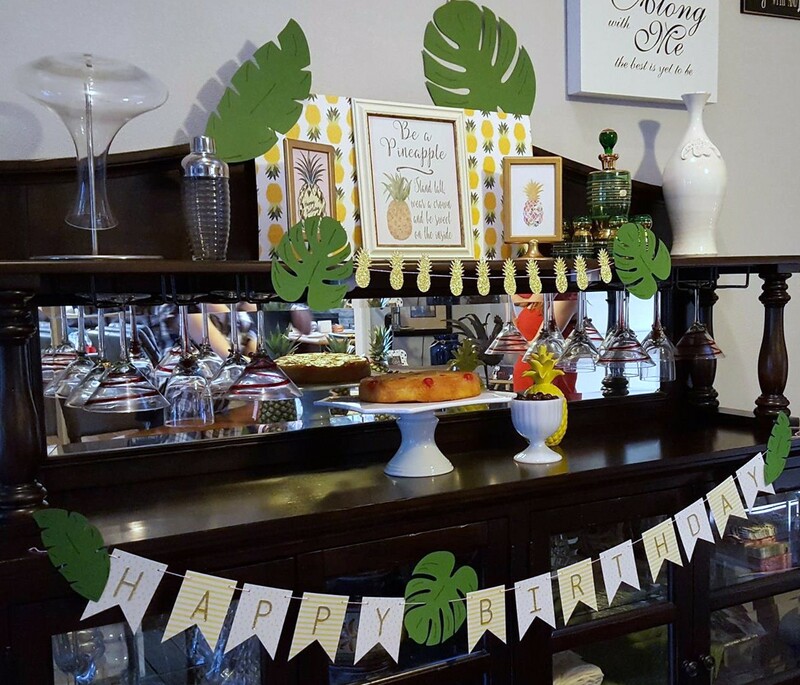 I kept the decorations pretty simple with large palm leaves, gold pineapple garland and a cute "happy birthday" sign. While searching the interest of the countless ways to decorate for a pineapple party, I came across the perfect sign: "Be a Pineapple - Stand tall, wear a crown and be sweet on the inside". I just loved this saying, how true, right? The table was decorated with a Hawaiian print table runner (which happened to be a scarf I found at the Dollar Store, love a good bargain), large palm leaves, gold lanterns and fresh pineapple tied with a pretty pink bow. Dinner was absolutely amazing! Started with a grilled wedge salad and homemade blue cheese dressing. The main course was a Risotto Bar with all the fixings; grilled pesto chicken and shrimp, with grilled asparagus, sauteed mushrooms, parmesan cheese and sprinkled with chives. Served on the side was delicious truffle oiled french bread. This Risotto Bar (which as I type this realize the sign in the photo was spelled incorrectly, haha, can't blame anyone but me on that one) was a great idea, especially for any guests who don't like mushrooms (yours truly). I am getting so hungry again just thinking about it! Dessert was a homemade pineapple-coconut upside-down cake, which smelled like a tropical oasis! With coconut chocolate almonds for additional snacking, these guys are dangerously addicting! I love these adorable "cheers" cups from Cheeky. They are the perfect addition to any party. Filled with watermelon lemonade (you can make it adult friendly with a splash of vodka) and a stripey straw for fun, because every drink is better with a straw! Pineapple candles were wrapped with pink ribbon as a party favor to give to guests. It is hard to believe my baby sister is already 25, time flies and I feel old! Lol. Hope you enjoyed my version of the Party like a Pineapple! Cheers! Awe, thanks Goldie! This one was a motor fun to plan! I love that quote too so true love the bowed pineapple center pieces! Thank you, I had fun with this one!